While most of us prefer to read fictional stories because non-fiction often lacks in suspense or stimulation altogether, the truth is that fact is sometimes stranger than fiction. Sometimes there are things that happen in this world that are beyond most people’s imagination. As you can gather from the title of this entry, the story I am going to be talking about will be that of Louis Zamperini, a World War II soldier who fought for the United States. 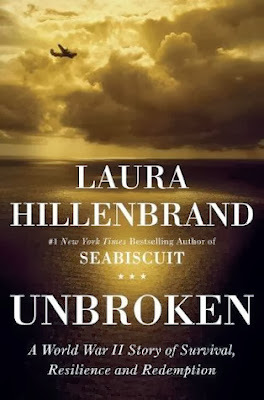 Laura Hillenbrand’s Unbroken chronicles the life of Zamperini, or more specifically the torturous journey he underwent during his service in the air forces. To put it in a nutshell, the story is that of Zamperini who as a boy discovered he had quite a talent for running. He was just about ready to compete in the Berlin Olympics when suddenly it was time to go to war. And so Louis become a pilot, which was the beginning of his ill-fated adventure. In 1943 Louis’ bomber crashed into the Pacific Ocean… nobody survived except for Louis Zamperini who somehow managed to drag himself up into a life raft. In the middle of nowhere, behind enemy lines, without any food or resources and surrounded sharks as well as enemy aircraft, Zamperini started his journey back home. As the journey progresses, the conditions become more and more unbearable, driving Louis to his limits, eventually leading him to a trial greater than all those he ever had to overcome. I’m afraid this is as much as I’m willing to tell you about Laura Hillenbrand’s Unbroken for fear of spoiling the story for you. Rest assured that while this is a biographical work its far from being emotionless and dry. On the contrary, this incredible story of survival is written almost as if it was a novel. Regardless of who you are or for how long you have lived, you can always learn something from a story such as that one. Laura Hillenbrand is an author of American origin, writing books as well as occasional magazine articles. Her first book, Seabiscuit: An American Legend won her the William Hill Sports Book of the Year, and her second book, Unbroken, surely hasn’t failed to attract its fair share of followers. While Mr. Tolkien has given us a memorable tale with his Lord of the Rings books, the truth is that many people felt as if the story was a bit too childish, and perhaps even clichéd at times. 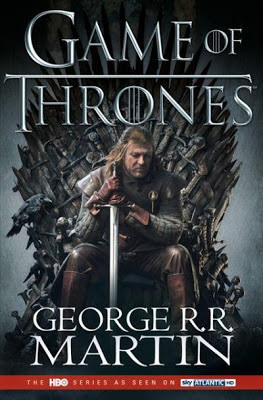 Well, to those who felt that way, I recommend that you take a look at a book titled A Game of Thrones: A Song of Ice and Fire by George R.R. Martin, a man dubbed as the “American Tolkien” by Time magazine. What precisely is A Game of Thrones: A Song of Ice and Fire about? Well, if I was to go into detail it would take me several pages, so I’ll just provide you with a brief glimpse of what you can expect. The story is set in a land where summers can last dozens of years, while winters can last entire lifetimes. As the cold is returning, dark forces start to mass just outside the kingdom walls to the North of Winterfell. The Starks of Winterfell are a family who just happens to be in the middle of it all. Some of the more things you will find in this book include a band of warriors whose swords are made of a mysterious metal, a tribe of wild-lings driving people into insanity, and a young dragon prince who trades his sister for a throne, amongst other grim things. This is a land where the good don’t necessarily win, where nothing is guaranteed. George R.R. 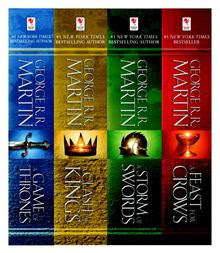 Martin is an American novelist who has explored the horror, fantasy and science-fiction genres, though at the moment he is best-known for his Game of Thrones series, which has earned him not only countless accolades including a number of Premio Ignotus and Locus Awards, but also a major television show adaptation. In the distant future, an alien invasion seems to be imminent against the human race. In order to fight it off, the government has put into place a program in which children are bred to become genius soldiers. A young boy who goes by the name of Andrew “Ender” Wiggin who lives with disconnected parents, a sadistic brother and a kind sister finds himself drafted into that program. While Wiggin’s skills and performance prove to everyone that he is an incredibly capable soldier, yet growing up in such a community has a psychological impact on anyone. Ender finds himself raised in a hostile environment surrounded only by peers, isolated from any other type of contact. Needless to say, the teachers aren’t of the nice variety, and the fact that the threat of an alien invasion is omnipresent all weigh heavily on the young boy’s mind. Also, Ender is far from being the only person of great interest drafted into the program, as it has already been going on for a hundred years. As you can imagine, the story of Ender’s Game by Orson Scott Card deals primarily with what goes on in Ender’s head while he has to grow up in a very unconventional setting. However, that is not to say there are no other plot-lines, as his sister Valentine and brother Peter are also unique in their own way, and don’t forget about the alien invasion that can happen at any moment. 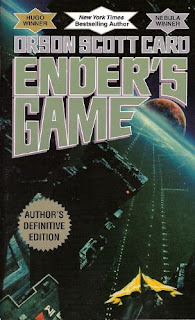 Ender’s Game was published all the way back in 1994 and received the Hugo and Nebula awards. If you would like to learn more about Ender’s Game, then simply follow the link below. 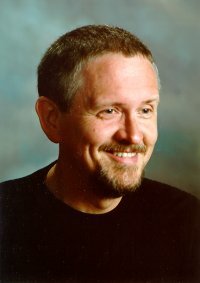 Orson Scott Card mainly considers himself as being an American novelist, though he has had many careers over his life, including critic, essayist, columnist and public speaker. He won a number of major literary awards, including the Hugo and Nebula ones for his novels Ender’s Game and Speaker of the Dead. Regardless of whether or not you are interested in literature, chances are that you’ve heard the name Stephen King being bounced around. Indeed, his fame has grown to a level where pretty much everyone knows who he is, without necessarily knowing what he did, or what he even looks like. And let me say that this reputation is well-deserved on his part seeing as how he came along with some of the greatest horror classics known to mankind, including Carrie, It, and The Dead Zone. While he has experimented in different genres from time to time, he is mostly known for depicting the dark, chaotic, violent and insane side of reality, or at least how he would see it. 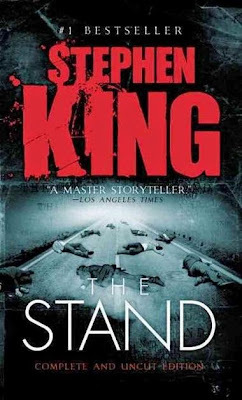 If you are looking to discover Stephen King and what he is all about, then I definitely recommend that you take a look at The Stand, which is basically a story which starts with a man escaping from a biological testing facility. However, upon escaping he has also released a much stronger and mutated form of the flu which proceeds to destroying 99% of the human population, leaving only a handful of survivors. In all the chaos two distinct leaders arise. On one side there is Abagail, a 108 year-old woman who urges people to band together and start building a community in Boulder, Colorado. Opposite of her stands Randall Flagg, an infamous “Dark Man” whose sole purpose for living is to create chaos and violence. In other words, this is what Stephen King sees happening in a scenario where most of the human population has been wiped out. As you can probably imagine, the story eventually develops in a complex tale which can’t really be put into a single genre. You will find everything in it including romance, political intrigue, surrealistic nightmares, a conflict between the last remaining human, a struggle between good and evil. Here is a man who probably needs no introduction. 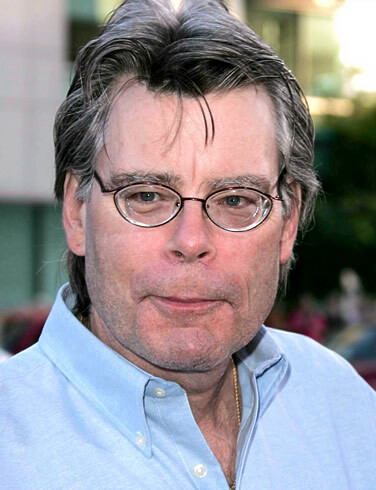 Stephen King is known by virtually everyone as being the master of horror, coming up with classics such as It and The Shining, but his literary talents to extend beyond that as he delivered plenty of memorable novels in other genres, including 11/22/63 and Under the Dome. Most people who read Stephen King’s works would agree that in recent years the master of horror may have let himself go a little. There has been a somewhat noticeable decline in the quality of his works, in every department including writing style and originality. However, Mr. King is only human and you cannot expect anybody to keep making masterpieces that each exceed the previous one; everyone falls at some point or another… it’s how you get up that matters. 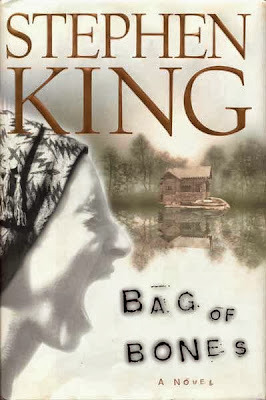 Well, it seems that recently Stephen King has bounced back with a few quite amazing works, including a move tie-in called Bag of Bones. To sum up the premise of the story in a nutshell, it follows the life of a widowed novelist Mike Noonan who is still unable to write anything. On top of that, he keeps having vivid nightmares set at a place called Sara Laughs, which inexplicably calls to him. At some point, Noonan decides to return to the lakeside cabin, where he actually finds a small town ruled under the iron fist of a dictator. As the journey begins, he encounters more and more characters, including a single mother who is desperately trying to keep her three year-old daughter, not to mention a variety of different ghosts. As a relationship develops between Mike and Mattie (the single mother) the evil forces at the lake’s edge are growing stronger… what do these forces want with Mike, and what will he do? Without spoiling too much about the story I would like to first of all assure you that it’s much better than the movie (for those who have had the displeasure of seeing that). While of course this may not be King’s best novel, it’s certainly a good indicator of the fact that he is back in form. While it may be true that there is nobody out there that knows you better than yourself, there are times when a little insight from the outside is just what you need. As a matter of fact, chances are that every day you dedicate yourself to something you are not naturally good at, and as such a lot of people with amazing talents are untapped and wasted. 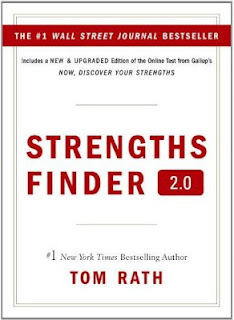 While I’m not saying that the key to your happiness lies in some type of test or book, I would recommend that you take a look at the StrengthsFinder 2.0 by Tom Rath. As you can probably imagine, the purpose of this book is to help you discover your strengths through an assessment. In 2001, Gallup introduced the first version of this book, and six years later released their second edition, which became a bestseller. To make a long story short, this is not the type of book that you are going to sit down and read in order to entertain yourself. The principal goal of StrengthsFinder 2.0 is to not only help you find your strengths and talents, but it’s also there to provide you with various tips and tricks on how you can better apply them. In the end, this book is meant to change not only the way you look at the world around you, but also the way in which you perceive yourself. Like I mentioned before, instead of being a book that is read for entertainment this is more something that you read in order to acquire certain knowledge, using it as a reference for years to come. 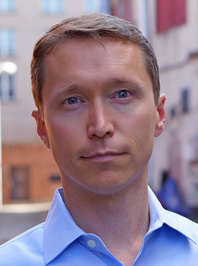 Tom Rath is an author, speaker and researcher of American origin whose books, which have been translated into over sixteen languages, are centered on the topics of leadership and synthsizing research findings. His first book, titled How Full Is Your Bucket?, co-authored by his grandfather, became a New York Times #1 Bestseller. In addition to all of that, Rath has also, for thirteen years, led the Gallup Inc.'s research team focused on consulting on employee engagement, strengths and wellbeing. For a long time now people have been reading Stephen King’s novels, marveling at the genius he manages to put on paper. However, while we keep on reading his works of fiction, a lot of us have noticed a distinct lacking when it comes to knowing what the master himself thinks like in real life. It’s one thing to learn about an author through his imagination, but it’s another to learn about him from what he truly thinks and says. 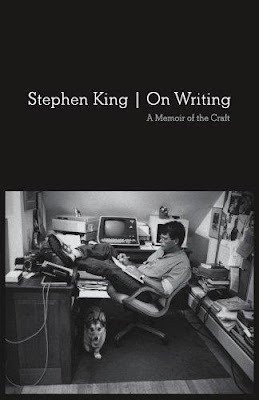 Probably with this in mind (as well as a fat paycheck) Mr. King released an autobiographical work titled On Writing: 10th Anniversary Edition: A Memoir of the Craft. This book is basically divided into two main types of texts. First of all, there are the memoirs in which King does what pretty much anybody would do in a memoir: he shares his thoughts and analysis on the events he remembers that marked his life in one way or the other. This part is at times quite amusing and fascinating as it allows you to see how the master of horror came to be, covering his story from his early days as a struggling writer, to his nearly fatal 1999 accident, ending with his recovery in the years afterwards. The second type of writing you are going to find in this book can be likened to a master writing class, as he actually teaches you practical knowledge about the art of writing a story. If you are an aspiring writer yourself then you will find that a lot of this information is exclusive in the sense that these are techniques that Stephen King developed himself. After many long years of writing a prayer journal, Sarah Young decided it was time to share with the world the teachings God was bestowing upon her. She started writing down in a journal whatever God was communicating to her, but after some time she realized that her writings weren’t as inspirational as Scripture, although it did help her get closer to the Lord. She decided to re-organize her writings from Jesus’ point of view, dedicating half a page to a full page for every day of the year. Each page can be best described as bringing to you a specific teaching from Jesus. While unfortunately there were many who simply pretended to have a powerful spiritual connection with God in order to extort money from the faithful, Sarah Young doesn’t fall into that category. When I was reading it, I felt as if each passage written down in that book had a little bit to teach me about how to live happily and prosperously while maintaining a close relationship with the Lord Almighty. Also, I should add that this book has actually carried me through some tough times; when things went bad, I went to that book and was reminded that regardless of what happens, the Lord does indeed love me, and is always by my side. All in all, I would just like to conclude by saying that if you are looking is a well thought-out devotional book that will help you grow closer to God without taking up too much time or resources, then you should at least take a look at Jesus Calling; it helped me, it helped others, and there is no reason as to why it cannot help you. If you would like to learn more about it, simply click on link below and you will be able to explore the book in greater detail. 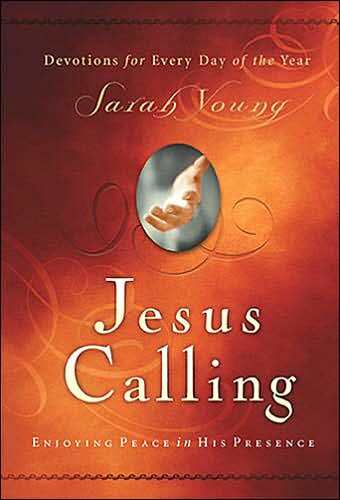 Sarah Young is an American author known for her book Jesus calling, and has devoted her life to helping others reaching intimacy with Christ. 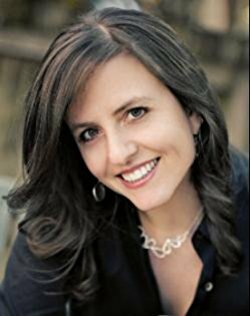 She holds a degree in philosophy from Wellesley, as well as graduate degrees in counseling and psychology from Covenant Seminary, Georgia State, and Tufts. Living as the silent type in a world that promotes the contrary can not only be inconvenient, it can be downright depressing at times. The world we live in was tailored for extroverts, people who would rather speak than listen. Those who prefer to listen are instead branded as shy and usually cast aside, and end up forcing themselves to act in a way that is contrary to what they really want. However, as was pointed out by Susan Cain in her book titled Quiet: The Power of Introverts in a World That Can't Stop Talking, the truth is that without introverts the world would be deprived of many great inventions, including the theories of gravity, relativity, as well as Google… and that’s just for starters. Susan Cain’s book is basically one which aims to bring a message to the world that says introverts are needed just as much as extroverts, yet the current social values place extroverts far above introverts. She takes the time to look into what she refers to as the “extrovert ideal”, or in other terms, the fact that today’s society emphasizes extroverts rather than introverts. Cain shares her belief that introverts are often underestimated and remain a source of untapped knowledge that may never be opened due to social prejudice. She takes the time to bring you the stories of a great number of introverts that have truly changed the course of history. What’s more, contrary to what many were surely expecting, many of those stories don’t come from known people; rather, they originate from interviews Cain conducted with people who are affected, one way or another, by being introverts in modern society. Also, she takes the time to introduce modern-day introverts such as a public speaker and a record-breaking salesman who have found great success. She attempts to demonstrate that taking the right approach is the key for introverts to succeed in this world, and that they are given both advantages and disadvantages by virtue of their nature, just like everyone else. All in all, this book aims to change the way in which introverts are perceived in society, and more importantly, how introverts perceive themselves to be. It provides a different outlook on things, breaking prejudices and pre-conceptions we have been following for all too long at this point. Being an introvert is far from being a curse… rather, it is a gift for those who know how to use it. If you are interested in learning about introverts or consider yourself to be one and would like to know this state of being better, then I definitely recommend you check this book… the findings within may surprise you, and perhaps even change the way you perceive life. Susan Horowitz Cain is an American writer and lecturer, and she is most known for her non-fiction books wherein she explores the fringe aspects of society from another perspective. This can most notably be seen in her most widely-acclaimed work, Quiet: The Power of Introverts in a World That Can’t Stop Talking. Regardless of who you are or where you live, chances are that you share the same goal with a grand majority of Earth’s population: making money. While in theory it sound simple and easy enough, in practice things are usually different. Indeed, most people who made the transition to adult life figured out the hard way just how much pain acquiring money can bring. While I’m not going to tell you that there is a secret and surefire way of getting rich within minutes, the truth is that your perception of your wealth impacts not only how well you handle your financial situation, but also on how you decide to lead your life. It has been proven for a while now that the mind has an uncontestable impact on the body, as was proven with the Placebo effect for example. When it comes to making money, your mindset may be the most important tool you have. 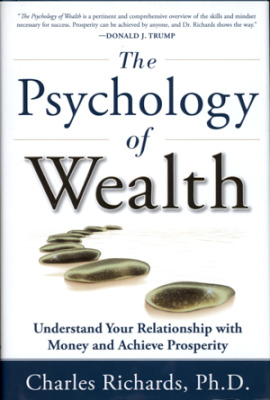 However, I am not the one who is going to teach you this, as Dr. Charles Richards already did a superb job of it in his book titled The Psychology of Wealth: Understand Your Relationship with Money and Achieve Prosperity. To make a long story short, the aim of Dr. Richards is to provide people with a different perspective on their wealth, and subsequently on their life. He believes that it is the relationship you have with money that is going to dictate the amount of success you’ll have making it. Naturally, the things written in his book are all based on researches and interviews. This means that there really might be something to it, regardless of how unlikely it seems that your thoughts have something to do with how much money you can make. All in all, I believe that Dr. Richards has really touched the subject of making money from a very interesting point of view, and anybody who is interested in succeeding in their personal as well as professional life should at least take a look at this. Charles Richards is a renowned doctor of clinical psychology and a licensed psychotherapist in California, who spent the last decade training and coaching various executives of Fortune 100 corporations. He is also an author who, amongst many other things has written the rather popular The Psychology of Wealth. "11/22/63" - What if Time Travel Saved JFK? Even though the United States of America haven’t existed for as long as most other countries out there, namely in Europe, it still managed to have quite a volatile history, full of economic, political and criminal scandals. As most of you are more than likely aware, a tragic event struck the country on November 22nd, 1963: the assassination of John F. Kennedy. The news spread like wildfire and not only created a real payday for the newspapers, but also started to inspire the imagination of various artists and writers. Among those writers is highly-acclaimed and world-famous author Stephen King, known for brilliant masterpieces such as The Shining, Pet Semetary, Carrie, Cujo, Salem’s Lot, and a variety of other books as well as movies. 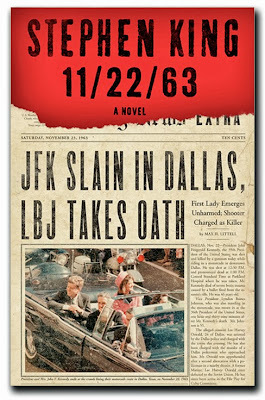 Not too long ago, on November 8th 2011 Stephen King published yet another one of his novels, this one titled 11/22/63. As you can probably guess from the title and the previous paragraph, this book has to do with the assassination of John F. Kennedy… or more precisely, the lack of said assassination. Without giving away too much about the plot, this is the story of Jake Epping, a 50 year-old high school teacher who has trouble making ends meet, working another job at an adult GED program. At some point, Jake’s nice friend Al tells him quite a shocking secret: the storeroom in his diner is in fact a surprisingly specific portal that leads to 1958. Naturally, Al does what friends do best: he enlists Jake on a mission to go back in time try and prevent the assassination of JFK. At this point, the story picks up and keeps on going for a good thousand pages. If you are a Stephen King fan, or if you are looking to discover him and are into political science-fiction, then I recommend you give 11/22/63 a try. While it is true that most people today pay little attention to books in favor of watching movies, there is a certain truth that remains for both forms of entertainment: they are filled with formulaic and cliché products. Just like in any business, whenever a product becomes extremely popular, it calls for a variety of knock-offs and spin-offs, all for the purpose of milking the cow. As a result however, truly talented writers and directors are being overshadowed by what makes money. If you have taken a look recently at the book market then chances are that the majority of works you ran into happened to be something that would pass as a cheap soap opera. Luckily however, out of all this mess a few still manage to stand out, and one of them sure as heck is Suzanne Collins, author of The Hunger Games trilogy. The story behind The Hunger Games is somewhat similar to Battle Royale, for those who have either read or seen it. The story takes place in Panem, which is built on the ruins of North America. Panem is divided into twelve districts, and when they all failed to conquer the Capitol, they were forced to sign somewhat unconventional terms of surrender. Every year, each district has to send a boy and a girl to appear on the televised event called The Hunger Games. As you can probably already imagine, these games pit the contestants against each other in a fight to the death. Suzanne Collins is the revered American novelist and television writer, most notable for The Hunger Games trilogy, based on which major motion pictures are being made right now. Amongst her many awards are the 2011 California Young Reader Medal and the 2008 CYBIL Award for Fantasy and Science Fiction. Immortality is something that most of us fantasize about at one point or another… however, we all believe it to be something of a fairy tale, an impossible feat. While I’m not going to say that the secret to immortality has been uncovered, scientists have actually managed to find immortal cells… those of a lady named Henrietta Lacks. Rest assured, the lady has now been dead and buried in an unmarked grave for a few decades… however, her cells still live on as if nothing had happened. About twenty years after her death, scientists began investigating her cells through her husband and children. When they discovered the anomaly, the field of medicine grew exponentially. It gave us the ability not only to understand a lot more than we did about various viruses and diseases such as cancer, but it also helped to develop a large variety of human biological materials. While the industry was making millions upon millions of dollars from Henrietta’s cells, her family didn’t see a dime of that money. While the scientific progress was considerable, this didn’t go down without any drama. When the Henrietta’s descendants learned about the whole situation, it didn’t take them a long time to start raising a variety of ethical questions about the whole situation, such as why Henrietta’s children cannot even afford medical insurance, considering she played such a big role in shaping the field of modern medicine. In any case, if you would like to learn Henrietta’s story from the John Hopkins Hospital in the 1950s to today’s sterilized white laboratories, the scientific impact her cells made as well as the drama that ensued, I recommend that you look into a book titled The Immortal Life of Henrietta Lacks by Rebecca Skloot. To make a long story short, the book is basically dedicated to chronicling the life of Henrietta Lacks, and more importantly the impact her immortal cells had on the rest of the world. Rebecca Skloot is an American freelancing author who has taken to writing books centered in one way or another around medicine. In 2010 she published her first book, The Immortal Life of Henrietta Lacks, and it became a bestseller, staying on the New York Times List for a period of two years, and there are even talks of making it into a movie. Amongst the many awards she won are the 2011 National Academies of Science Best Book Award and the 2011 Audie Award. While some people may be in denial about it, there is no question about the fact that the United States of America are about to undergo some drastic changes.With public support for whatever the White House does being pretty low right now, the passing of the highly controversial NDAA bill as well as the proposition for SOPA and PIPA all point to the fact that an authoritarian reform is looming on the horizon. 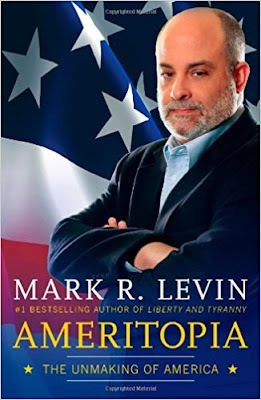 During this crucial and volatile time, radio personality Mark R. Levin discusses, in his book titled Ameritopia: The Unmaking of America, the utopian movement, its history, architects, followers and disciples. He also theorizes about how this utopian dream that sits in practically every American’s mind will serve as the cause for the demise of a fair, honest and just society. He believes that American individuals are being devoured by the illusion of a possible utopia. Mark R. Levin explores in a great amount of detail what it is about utopia that free people find so attractive, as well as what part of utopia destroys these people. Without getting into detail about precisely what he covers, in the end Mark R. Levin demonstrates that at least according to what he knows, the American public is indeed in great peril, being at a crossroads and forced to choose between utopia or freedom. If you enjoy reading books which discuss politics in any way, then I highly recommend that you at least look into this book or what Mark R. Levin has to say in general. While of course he isn’t the messiah and his word should not be taken as the absolute truth, Mr. Levin has proven to at least be a reasonable person who puts effort into his thoughts. 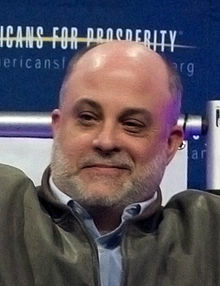 Mark Reed Levin is an American show host (The Mark Levin Show), a lawyer as well as an author. In addition to having worked as a chief of staff for Attorney General Edwin Meese and in the Reagan administration, Levin also published five books, most of them dealing with politics and society in America, with perhaps the best-known one being Liberty and Tyranny. While most of us read stories about war, filled with facts and accounts of what happened where and when, the truth is that these texts don’t come close to giving you a true impression of what war is like. Naturally though, seeing for yourself what it looks like would be quite a bold move, and one which I’m sure a majority of people aren’t willing to make. Luckily though, there are other ways of getting a more up-close look at what warfare is like from a soldier’s point of view. For example, there are some soldiers who have written books about their experience, with one of the most notable ones being a book by Navy SEAL Chris Kyle titled American Sniper: The Autobiography of the Most Lethal Sniper in U.S. Military History. 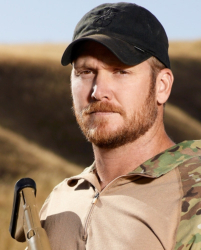 For those of you who are not familiar with Chris Kyle he literally is the most prolific sniper in U.S. history, recording the more career kills than any other American at over 150.Not only was he greatly feared by Iraqi insurgents to the point of having a lucrative bounty placed on his head, he was actually nicknamed "The Devil". In his brief autobiography Chris Kyle provides a very realistic look at not only what a sniper sees during the war, but how a person feels as a human in this mess. He also goes over some specific events such as the time where he killed a man from a distance of 2,100 yards, or another time where he fought off insurgents in close combat using his pistol.In other words, not only does he cover the emotional, psychological, and factual aspects of it, he also manages to put you into the middle of the action whenever he encountered it. If you are interested in learning about the life and war experience of the most deadly sniper the United States of America has ever produced, then simply click on link below. A tragedy has occurred recently: Chris Kyle, the author this book and ex-Navy SEAL was murdered at a gun range. Below is a screenshot of the article in which I read about it, and by clicking it you can read the article for yourself. May he rest in peace. Chris Kyle was a United States Navy SEAL and the sniper with the most confirmed kills in American military history, with 160 confirmed kills out of 225 probable ones. He served four tours in Iraq and was awarded a number of commendations for his exploits, including two Silver Star Medals, five Bronze Star Medals, amongst others. In 2009 he was honorably discharged, became a bestselling author with his autobiography American Sniper, and on February 2nd , 2013, was killed on a shooting range, with the man accused for the murder currently awaiting trial.